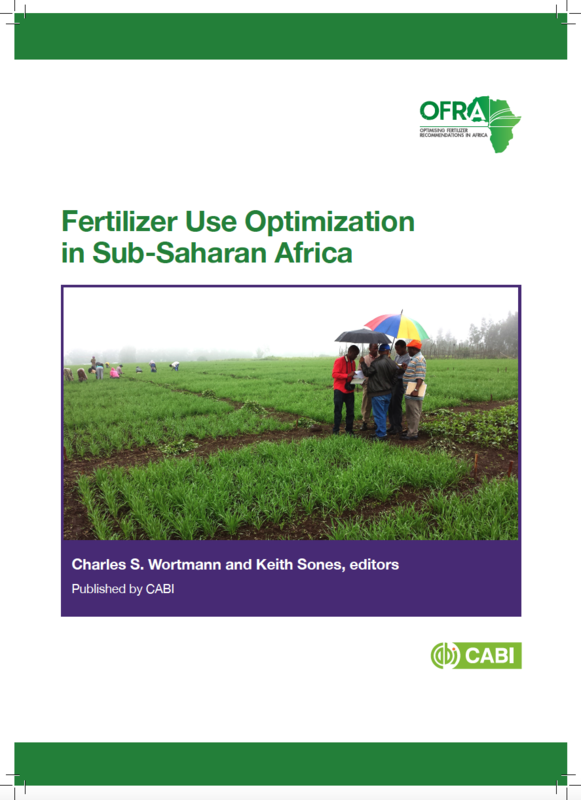 17 March 2017 OFRA: A new 228 page book Fertilizer Use Optimization in Sub-Saharan Africa has been published by CABI to share the findings of the Optimizing Fertilizer Recommendations in Africa (OFRA) project. The publication is free to download from the ISFM materials library developed by the Africa Soil Health Consortium. The new publication has been welcomed by AGRA. The book seeks to share lessons from all of the project stages identified by AGRA. Acknowledgements OFRA is funded by the Alliance for a Green Revolution in Africa (AGRA) and jointly led by the Centre for Agriculture and Bioscience International (CABI) and the University of Nebraska-Lincoln.